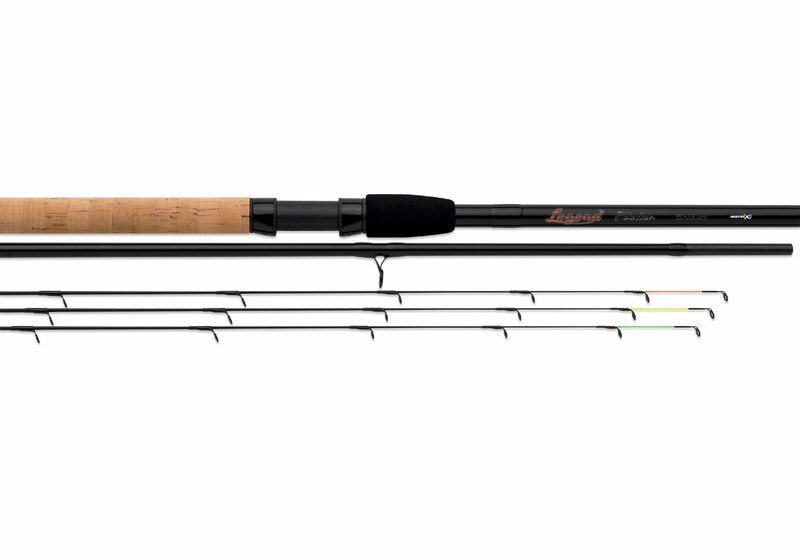 Legend feeder rods are designed for medium range feeder fishing. Available in three lengths, the new legend range has three equal length sections for easy transport and covers a wide variety of feeder fishing applications. (GRD099, GRD100, GRD101) 3 new additions to the range all designed for casting feeder from 20-50gr in weight. The 3.7m version breaking down into 3 equal parts for transportation with the 3.3/3.5m versions breaking down into 2 equal parts when transporting. The softer actions on the 3.3m and 3.5m make them ideally suited to both method feeder and small light cage feeders. Supplied with 2 X tips.